Opened in 1836 as a horse tramway using gravity to carry slate from Blaenau Ffestiniog to Porthmadog, by the 1920s the Festiniog Railway had left its years of technical innovation and high profits long behind. After the First World War, the railway s path led inexorably to closure, to passengers in 1939 and goods in 1946. After years of abandonment, visionary enthusiasts found a way to take control of the railway and starting its restoration in 1955\. Not only did they have to fight the undergrowth, they also had to fight a state-owned utility which had appropriated a part of the route. All problems were eventually overcome and a 2 mile deviation saw services restored to Blaenau Ffestiniog in 1982\. Along the way, the railway found its old entrepreneurial magic, building new steam locomotives and carriages, and rebuilding the Welsh highland Railway, to become a leading 21st century tourist attraction. Historian Peter Johnson, well known for his books on Welsh railways, has delved into the archives and previously untapped sources to produce this new history, a must-read for enthusiasts and visitors alike. 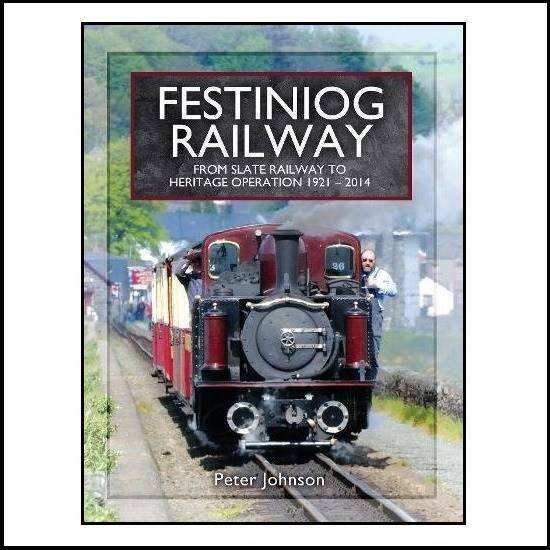 The Festiniog Railway s pre-1921 history is covered in Peter Johnson's book, Festiniog Railway the Spooner era and after 1830-1920, also published by Pen & Sword Transport.